The amphibious transport dock ship arrived in Brisbane, Australia, for a routine port call, June 28, before joining exercise Talisman Saber. 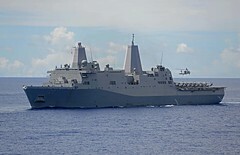 The amphibious transport dock ship arrived in Cairns, Australia, for a routine port visit, June 28. 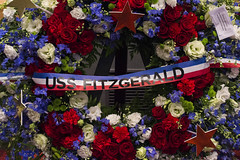 The Fleet Activities Yokosuka community showed their respect to the family and crew of USS Fitzgerald (DDG 62) during a memorial ceremony June 27. 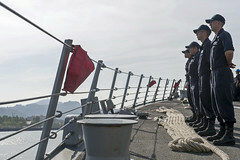 Supporting embarked Marines, the Military Sealift Command ship arrived in New Caledonia, June 25 for the next phase of the Koa Moana exercise series. 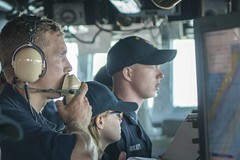 Ships of the strike group returned home to San Diego, June 23, following a five-and-a-half-month deployment. 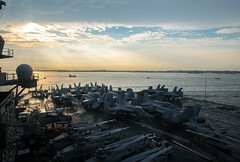 The strike group entered the U.S. 7th Fleet area of operations, June 21, slated to enhance maritime partnerships and promote peace and stability in the Indo-Asia-Pacific. 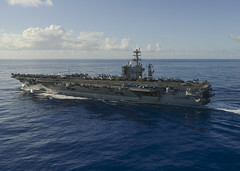 The Navy’s forward-deployed aircraft carrier returned to operations at sea June 21 following a four-day port visit. 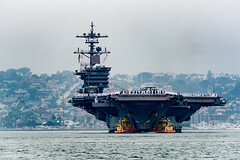 The amphibious assault ship departed its homeport of San Diego, June 19 to recertify the ship after its maintenance availability. 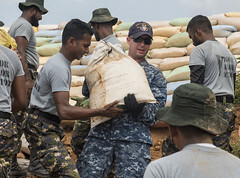 Sailors from the guided-missile cruiser completed their contributions to the humanitarian assistance mission in Sri Lanka, June 17. 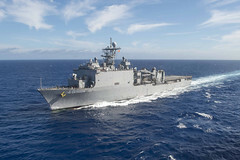 The guided-missile destroyer arrived in Subic Bay, Philippines, for a scheduled port visit, June 18.